Observe sand or mud closely and learn what it is made of. Students look closely at sand and find the colours in it. 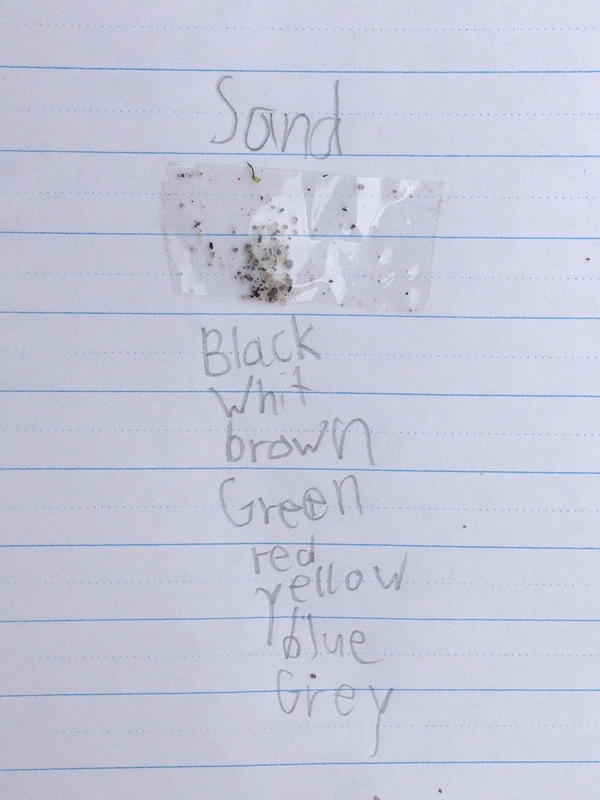 They can tape a sample in their notebook, use a magnifier to look at the grains closely, and list the colours that they find. Students rub a smear of mud onto their worksheet, allow it to dry for a few seconds, then add a piece of tape over it. They use a magnifier to look at the sample closely, then estimate how many grains of mud could fit into a grain of sand. Discussion that sand (and mud) are made from rocks broken up by the waves. Students look for larger rocks of the same colour on the beach, that may have been broken into sand/mud. Teacher can name them: basalt is black (igneous rock), granite is speckled and can be broken into its mineral components: quartz (clear/white), feldspar (pink), mica (shiny flat black). 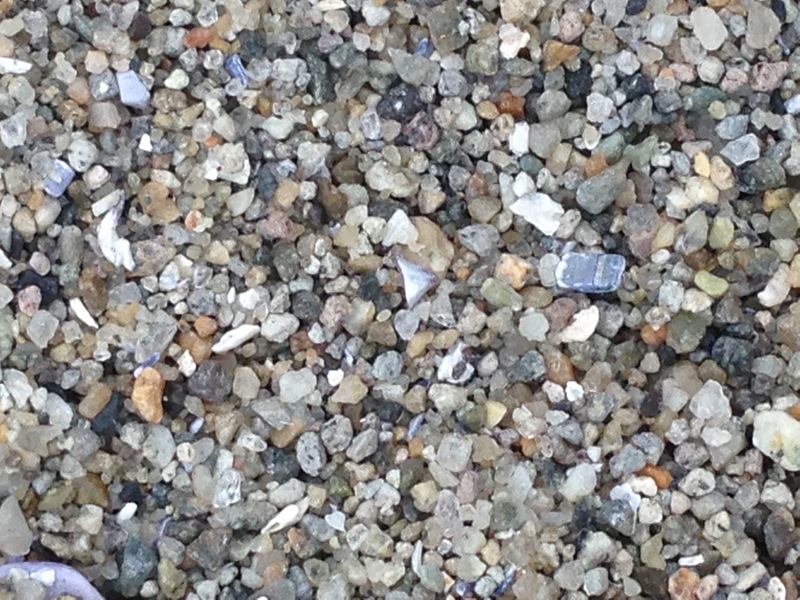 Students can look for other debris in sand, especially parts of shells. Discussion that the shells of the animals become sand as they are broken up by the waves. 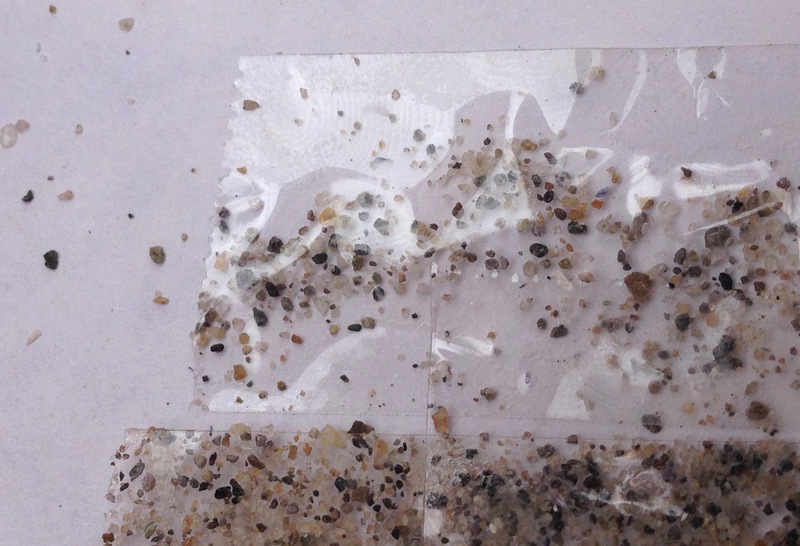 Students can sieve sand to find more broken shell pieces, and tape them in their notebook.